We have a range of equipment that can handle tree stump removal jobs of any size and location, regardless of access issues. 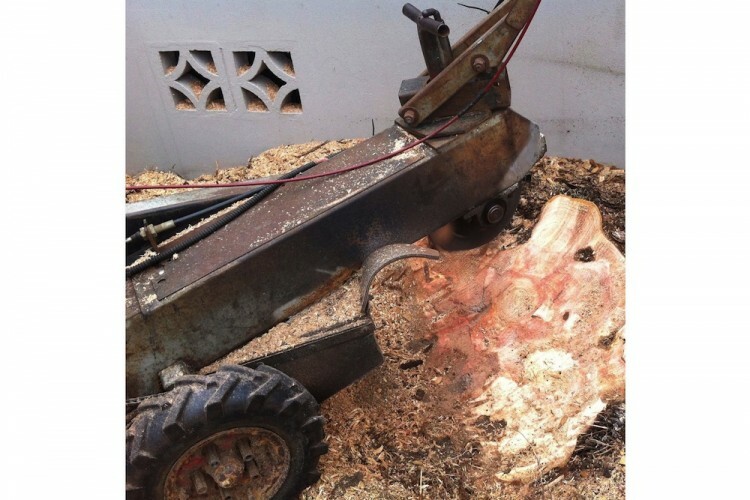 - Red Roo / Carlton SP7015TRX – 66hp dedicated tracked stump grinder. This is one of the most powerful stump grinders on the market. It is big on power but can still fit through a 900mm gate. 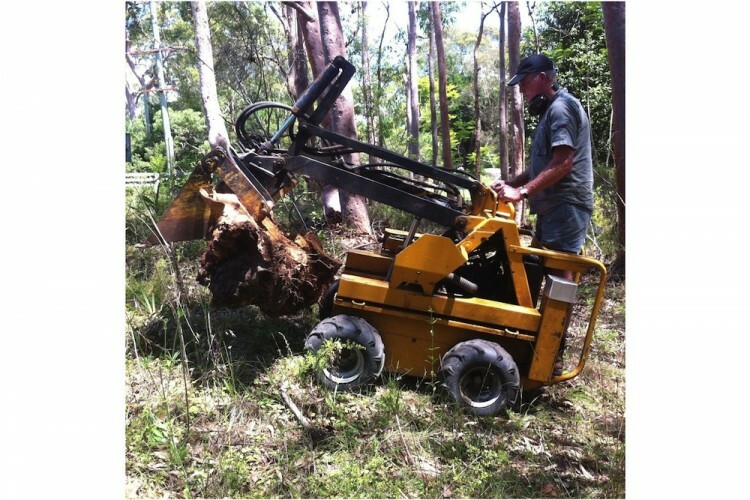 - Stump Stomper – 18hp narrow access machine. 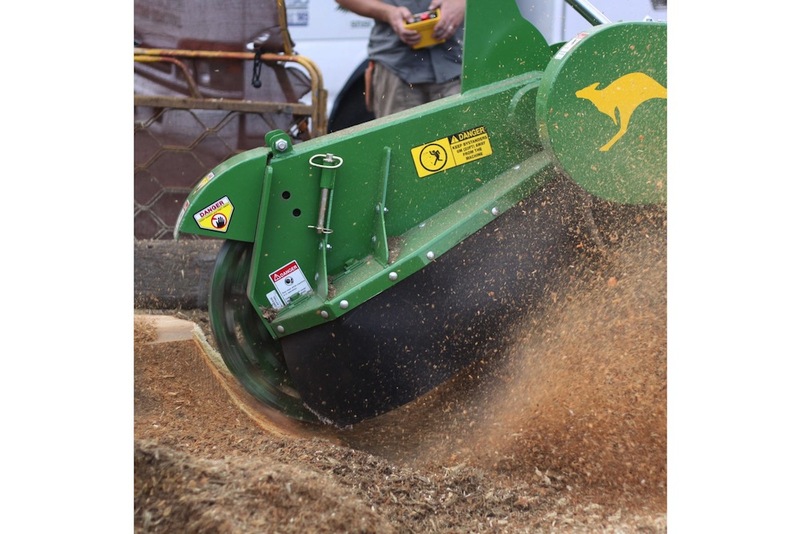 This is an extremely versatile machine. Although it doesn’t have the power of the Red Roo it can fit through an access point of just 595mm. This machine is often used for chasing exposed tree roots. - Alpine Magnum – Often referred to as a “hand held” grinder. This machine runs on a large chainsaw motor. 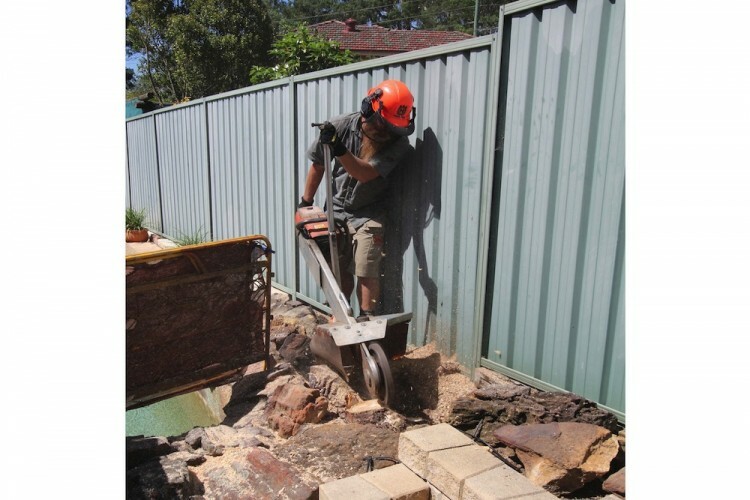 Although the capability is less than the other machines this machine can be carried through a living room and into a backyard, making it perfect for areas that are difficult to access. - Kanga Mini Digger (Dingo) – Not often used for stump removal, but this piece of equipment comes in handy on very large jobs and also for storm damage work.